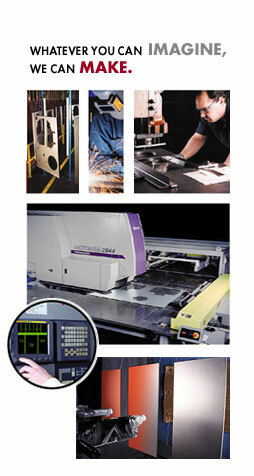 Superior Metal Products specializes in custom light-gauge sheet metal fabrication and finishing. Guided by expert engineering, advanced production equipment, and a dedication to craftsmanship, we make your ideas into metal, exactly to specification, on time, and with impeccable quality. Moreover, our mix of technology and know-how gives us the flexibility to meet your changing requirements on an as-needed basis. You'll be amazed at what we can do. Since 1958, Superior Metal Products has served the eastern United States and Canada with full-service sheet metal fabrication. Achieving over $6 million in annual sales, we employ over 40 highly trained and motivated people in our modern 55,000 square feet of production and warehousing. Superior Metal Products always works to build long-lasting relationships, and provide quality service, while keeping pace with technological advances. We work with you from concept to completion. Can we help you reduce manufacturing costs by adjusting your design? Can we help you improve the integrity of your product with a tweak here or there? Our design and engineering team takes pride in producing your product in the most timely, cost efficient manner possible. Never losing sight of all the details that ensure you get a product with the highest degree of quality. We invite you to visit us any time. Tour our facilities, meet our people, and witness technology at work.